I started drinking peppermint tea about six months ago to aid wit h pain relief. If you’ve been watching my videos or following me here for a while, you know I am a strong believer in empowerment through food. I believe and know that food has the power to heal bodies and communities, if you allow it to. 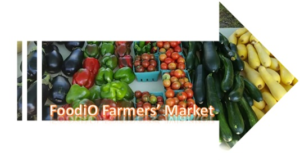 By arming yourself with the right foods, for the right situation, you can often forego the need for supplementation of alternative methods for sustenance, community survival, and yes, even contemporary medicin. Knowing this, I began searching for alternatives to pain medication. For the type of pain I was having, I knew I would still need some other form of pain relief. However, I wanted to reduce the amount as much as I could. Mediation makes me kind of loopy, so I prefer to take it at bedtime, if it’s something I absolutely need. 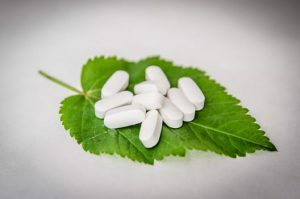 I wanted to find an herb that could reduce my pain, so I could function during the day and I could reduce the amount of medication I needed at night. I preferred it to be an herbal tea, as I had given up caffeine to encourage bone growth and reduce pain levels. The search was on! Through much research, I learned that peppermint oil is often used topically by those with Fibromyalgia. It can be used alone or paired with other oils to reduce muscle pain, soothe aches, and relieve tension from head to toe. My aches were all over. I started drinking peppermint tea a couple times a day: once in the morning and at least once or twice during the day. The tea dulled my pain to a more manageable point. 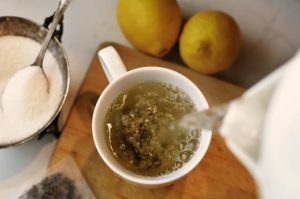 I was able to reduce my medication intake most days, being sure to drink more of the tea along with the medicine the days my pain was particularly intense. Words cannot express how thrilled I was that the peppermint tea worked for me. Not to mention, I gained the other benefits of the tea such as sinus relief during the early spring and fresh breath without the aid of gum. 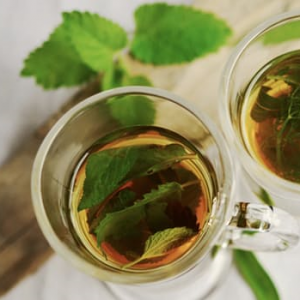 Have you tried peppermint tea to relieve pain or replace pain medication? What were your results? 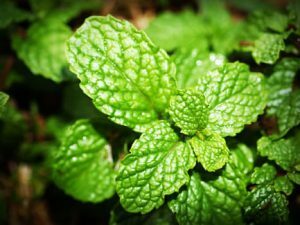 *Bonus: Peppermint is a natural bug and pest repellent (mice, spiders, ants, aphids, beetles, moths, lice, flies, and cockroaches). Use a few drops of peppermint oil around the house or in your homemade floor cleaner to repel bugs and pests in your home. Thank you for this review. I have forgotten how beneficial peppermint is for you. I used the peppermint oil awhile back for my husband’s back pain. It’s good to know how much more helpful peppermint is for your health. I like that you can use it to repel unwanted guests, like bugs and hopefully fleas since I have cats in the house. I’m bookmarking this website for more info and updates. Thank you so much for sharing this post. Did the peppermint oil help your husband out? It is great for fleas, ticks, mice, and cockroaches. I meant to add that I the post. Thanks for reminding me, I’ll go bank and add that in. So happy you’re finding the site useful! You can subscribe via the box to the right here, to get automatic updates on posts. You’ll also get a copy of my free eBook. Just something to think about. 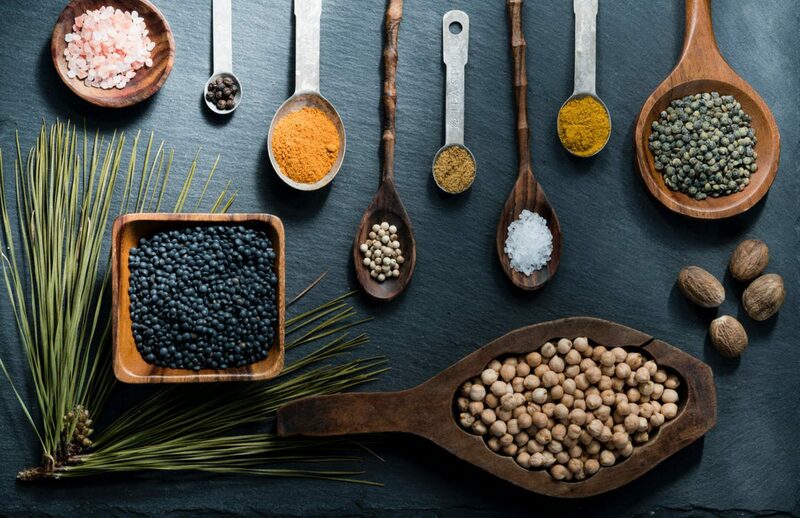 Hope you have a great day and feel free to submit questions or spices and herbs you’d like me to cover.